– Raamdeo Agrawal’s 100x Bagger Stocks Are Already On The Move. Do You Have Them In Portfolio? Raamdeo Agrawal recently gave an inspiring talk on ETNow. The first interesting point he made is that though the Index is up 100x in the last 30 years (from 1984 to March 2014), very few investors can boast of a 100 bagger in their portfolio. 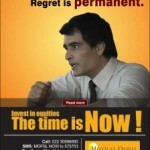 He candidly admitted that even though he has been investing for 35 years, he has only one 100-bagger in his portfolio. Raamdeo Agrawal explained that the reason for this sorry state of affairs is that though he (and others) had identified winner companies, the patience to stick with them through thick and thin was lacking. He pointed out that the peculiar paradox is that while investors sell their winner stocks (to book profits) early, they cling to their loser stocks for decades in the hope of being able to recover their losses. The situation should be the reverse, he emphasized. Hold on to the winners for decades while dumping the losers early. 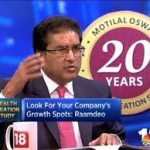 Raamdeo Agrawal has given several other fascinating insights as to how we can also find such super-duper winner stocks by applying the formula of Size, Quality, Growth, Longevity and Price (SQGLP). The best part is that Raamdeo Agrawal is not content with talking about the theory. Instead, he has gone ahead and applied the theory to practice and identified seven potential winner stocks in the Motilal Oswal 19th Wealth Creation Study. So, my suggestion is that we shouldn’t take Raamdeo Agrawal and his ace team at Motilal Oswal for granted. Instead, we need to carefully evaluate each of the seven stocks and see if we have the conviction that they are ‘great businesses’ with ‘great management’ and ‘growth potential’. If so, we need to buy and hold these stocks through thick and thin.